We ask that you arrive after 2pm (if staying in one of our accommodations) or 1pm (if staying on a site). Departure time for accommodation and sites is 10am. 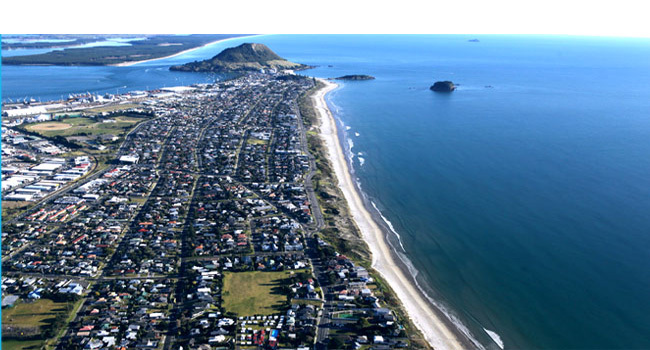 The Bay Hopper Bus will take you virtually anywhere you want to go in Mount Maunganui and Tauranga. A timetable is available from the office and a bus stop is situated 50 metres from Cosy Corners front gate. Please note that from 10 December 2018 their new timetable has only one bus running (Gold Line) which passes Cosy Corner hourly between 10.30am - 3.30pm seven days a week including public holidays. For alternative transport there are several Taxi companies and also Uber. 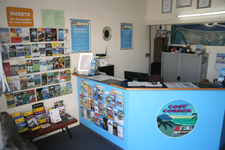 We are happy to pick you up from the Tauranga Airport on arrangement. There is a dairy (small grocery store), liquor wholesaler, Indian restaurant, Takeaway bar (for yummy fish and chips! ), and a Cafe, only 5 minutes walk from Cosy Corner, and the larger Central Parade group of shops is just a 10 minute walk away. At Central Parade Shops, you will find a fresh fruit and vegetable shop, a supermarket, cafes, bakeries, butchery, chemist, hairdressers, a post office and more. Reservations are confirmed only on receipt of a deposit (payable at time of booking). All sites and accommodations are allocated at the discretion of management who reserves the right to alter or cancel tenancy at any time. Balance of payment is due on arrival for the full number of days reserved. No refund will be made should guests come later than their reserved arrival date or leave earlier than their reserved departure date. If you fail to give adequate notice of your cancellation, minimum of 14 days during off peak season, or fail to show by 8pm on the arrival date (without prior arrangement), you will forfeit your deposit or the equivalent of one night's stay, which ever is the lesser, and your booking will be cancelled. If you give us adequate notice to cancel your booking we will refund your deposit (less a $20 administration fee). 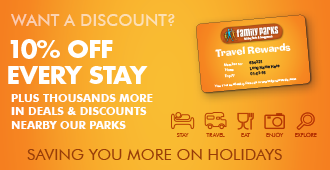 Deposits are non-refundable for peak season bookings unless we can re-let your unit or site. Deposits for group bookings of 2 or more units/sites are non-refundable unless we can re-let all the accommodation/sites booked. Any refunds will be less a $20 administration fee. Guests are welcome to host visitors at Cosy Corner. All visitors are required to register at the office and guests are responsible for their visitors. 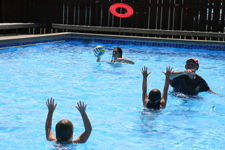 Visitors may use our pool and facilities for $5 per person half day, $10 per person full day. All visitors to leave the park by 10pm. Visitors staying overnight are required to pay full park fees. We do not allow pets in our park sorry.